The final game between the Miami Heat and Charlotte Hornets in their Eastern Conference first round matchup didn't turn out to be as close as it was touted to be, but something quite magical still happened. 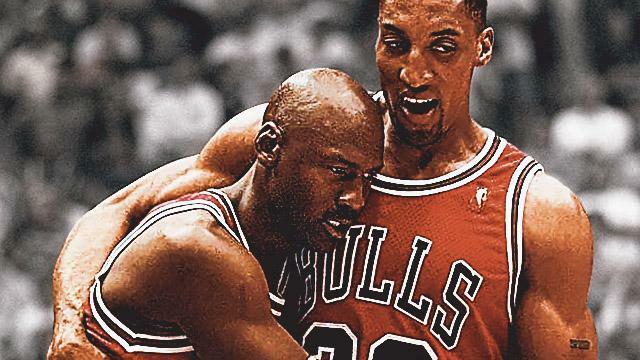 With his team down early and having no reason to smile, Hornets owner and GOAT Michael Jordan got a little surprise from former Chicago Bulls teammate Scottie Pippen as the latter dropped by his executive suite, where the two showed each other some love. Considered one of, if not the best, 1-2 punch in the history of the sport, '90s basketball's "Batman and Robin" exchanged a warm hug and a few pleasantries in a sight that would make a hoops fan from any generation tear up a bit inside.